Postoperative delirium is the most common neurologic surgical complication among older patients, with incidence rates ranging from 15% to 50% in published studies. Yet, evidence suggests it is preventable in as many as 40% of cases. Delirium can lead to higher rates of morbidity, mortality, and institutionalization and can prolong rehabilitation and recovery from surgery. It can also lead to long-term cognitive and functional impairment, with 20% to 30% of patients never fully recovering from delirium. Recent survey results have shown that surgeons and surgical trainees consider delirium as the top area in which more training and understanding is needed. This strong interest has converged with evolving expertise and a great deal of new literature in the field. Recently, Sharon K. Inouye, MD, MPH, Thomas Robinson, MD, and a multidisciplinary panel of experts from organizations participating in the American Geriatrics Society Geriatrics-for-Specialists Initiative helped develop the first guideline in the United States that addresses postoperative delirium. Published on GeriatricsCareOnline.org and in the Journal of the American Geriatrics Society and the Journal of the American College of Surgeons, the guideline emphasizes that although postoperative delirium is common among patients aged 65 and older, it can be prevented with relatively simple efforts. Patients should be oriented to the time of day and their surroundings several times per day. Family members can help in providing this orientation. Patients should be ambulated at least twice a day as soon as safely possibly following an operation but within the restrictions of the surgery. Eyeglasses and hearing aids should be made available and worn by patients, if applicable, to maintain orientation. Adequate hydration and nutrition should be ensured by physicians. Good sleep hygiene and relaxation techniques should be promoted. A great deal of uncertainty appears to exist among clinicians regarding the use of anti-psychotics for managing delirium, according to Dr. Inouye. “The panel felt strongly that the current evidence in the literature does not support the use of anti-psychotic medications because the benefits do not appear to outweigh the risks,” she says. “These medications should be reserved for delirious patients who are severely agitated or distressed or who are threatening harm to themselves or others. If anti-psychotics need to be used, they should be used for the shortest duration possible and reassessed daily.” Dr. Inouye adds that more research is needed in this area to determine if lower doses of anti-psychotics may be effective or if alternate pharmacologic approaches are more beneficial. 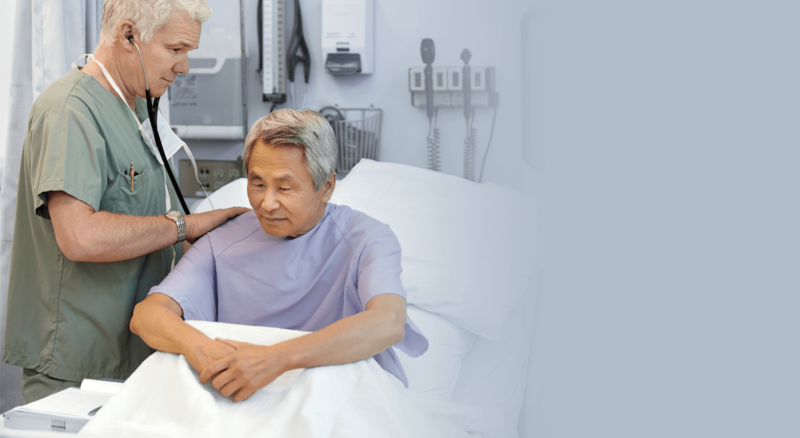 The guideline stresses the importance of ongoing training and education among clinicians to better understand the epidemiology, assessment, prevention, and treatment of delirium. Dr. Inouye and colleagues have developed the Hospital Elder Life Program, available at http://www.hospitalelderlifeprogram.org. This widely implemented program has been well-tested and has been widely used to effectively prevent delirium and falls in surgical patients and to reduce healthcare costs. Inouye S, Robinson T, Blaum C, et al. Postoperative delirium in older adults: best practice statement from the American Geriatrics Society. J Am Coll Surg. 2015;220:136-148. Available at www.journalacs.org/article/S1072-7515(14)01793-1/pdf. Inouye S, Westendorp R, Saczynski J. Delirium in elderly people. Lancet. 2014;383:911-922. Inouye S, Bogardus S, Charpentier P, et al. A multicomponent intervention to prevent delirium in hospitalized older patients. N Engl J Med. 1999;340:669-676. Inouye S. Delirium in older persons. N Engl J Med. 2006;354:1157-1165. Lundstrom M, Edlund A, Karlsson S, et al. A multifactorial intervention program reduced the duration of delirium, length of hospitalization, and mortality in delirious patients. J Am Geriatr Soc. 2005;53:623-628. PreviousDBS for Parkinson Disease: Does Age Matter? Sharon Inouye, MD, MPH, has indicated to Physician’s Weekly that she has financial interests to disclose.